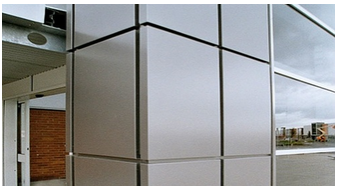 We feel proud to introduce our business domain as an acclaimed organization of Aluminium Composite Panel. Established in 2015 as a subsidiary of Ajay Properties, we strive to deliver the best in facade & fenestration product and services in industry through a mix of 30 years of internal knowledge & experience and modern technology & processes. We deliver customized & cost effective solutions for your project keeping a keen eye on qualitative & quantitative output. New office constructed at Malviya Nagar, New Delhi. New fabrication unit with latest European machinery commissioned at Malviya Nagar, New Delhi. Additional 5,000 sq ft fabrication units available for immediate expansion at Press Enclave road, opp. Select City Walk mall.